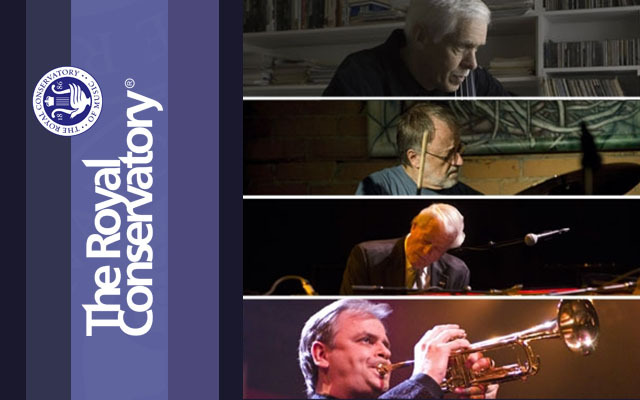 This star-studded group of Order of Canada recipients, together specially for this concert, features Jens Lindemann, Tommy Banks, Guido Basso, Terry Clarke, Phil Dwyer, Phil Nimmons, Don Thompson, and Dave Young. You will hear Oscar Peterson’s Canadiana Suite, Allan Gilliland’s Dreaming of the Masters, and new pieces by Phil Dwyer. In a brilliant career spanning six decades, jazz musician, composer, and educator Phil Nimmons has made an indelible contribution to the cultural life of Canada. His music is familiar to Canadians and internationally, thanks to his performances on his own CBC Radio show beginning in 1953 and as clarinetist and bandleader with his jazz group, Nimmons ‘N’ Nine, which he later expanded to Nimmons ‘N’ Nine Plus Six. Nimmons received the first Juno Award ever given in the jazz category for his group’s recording ofThe Atlantic Suite. In addition to over 400 original jazz compositions and countless arrangements, he has written numerous contemporary chamber and orchestral works for voice, piano, strings, and other ensembles.